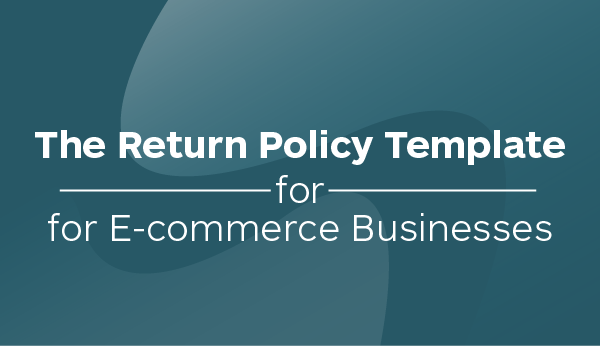 When you draft your e-commerce return policy, you want to make sure it is fair for customers, won’t hurt your bottom line, and is comprehensive enough to cover all potential scenarios. With all that to keep in mind, it’s no surprise that drafting your return policy can feel downright daunting. That’s why we created the below return policy template to give you a guide for what to include on your website. Keep in mind that you’ll want to customize your return policy for the needs of your customers. Audiences vary by industry. A customer that wants to return a pair of jeans will want a different experience than someone that wants to return a vase that broke in transit, for example. Make sure to look at return policy examples of established businesses in your industry to modify your rules appropriately. Also, make a note to re-evaluate your policies from time to time, especially if you’re seeing an influx of returns, and consider adding more product photos or videos so that customers know exactly what they’re purchasing and will be less likely to make a return. Without further ado, here’s our return policy template. If you would like to make a return, take a look at our policies below. We want to make sure you’re completely happy with your purchase. If there’s anything we can do to improve your experience, please contact us at <support email address>. If you wish to return your item, we must receive your request within <30 days> of the date you received your item. If approved, the money will be refunded to your original method of payment within <two weeks>. All payment companies are different in the amount of time it takes to confirm a payment, so it will likely take a minimum of a few days for the refund to show up in your bank statement. In the unlikely event that you receive a damaged or defective item, we’re happy to exchange the item for a new one. Please email <support email address> within 30 days of receiving your product to begin the process. After you’ve submitted a return request to <support email address>, we will send you a PDF of a return shipping label. Please print it out and affix to to your package. There are many ways customers can return their packages, and you can update this return policy template to reflect your process. You can leave it to them to package up the product, purchase the right amount of postage, and address everything correctly. However, this often leads to more errors due to an incorrect address, not enough postage to cover the cost of shipping, etc. 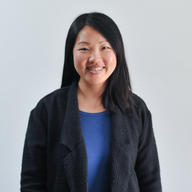 Shippo is a shipping software that lets you streamline your shipping process. You can easily print return labels to include in your package and you won’t be charged for them unless they’re used by your customer. You can also send them a prepaid label via email that they can print and attach to their package. Shippo helps you do all of this seamlessly to simplify the customer experience and help you complete returns faster. If you’d like to try Shippo, you can register here or visit our pricing page for more information about our plans.